Nursing is a high-demand field at the front lines of healthcare. Whether you’re interested in working in an emergency room, a family practice office, a public school or an assisted living facility, you’ll use your clinical and decision-making skills to assess your patients’ needs and provide evidence-based treatment and healthcare guidance. Our graduates become part of the workforce that is helping to shape the future of healthcare. 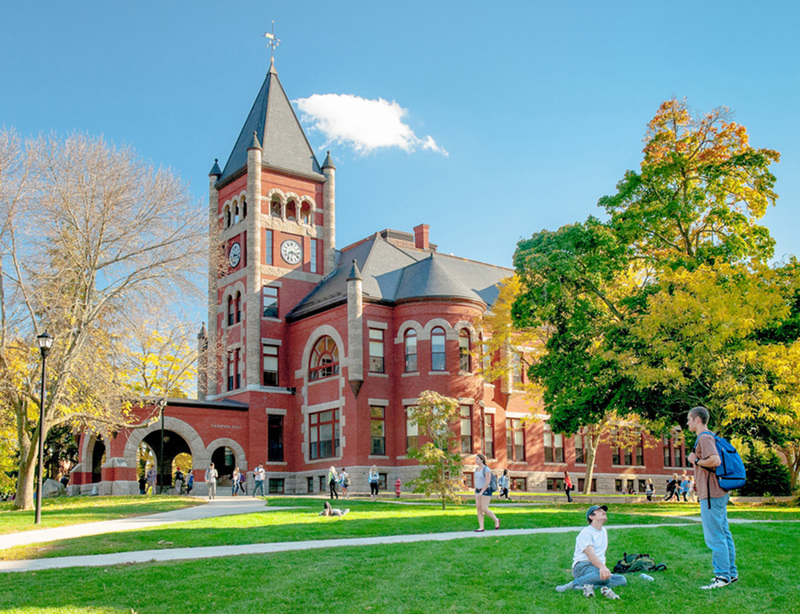 Why study nursing at UNH? 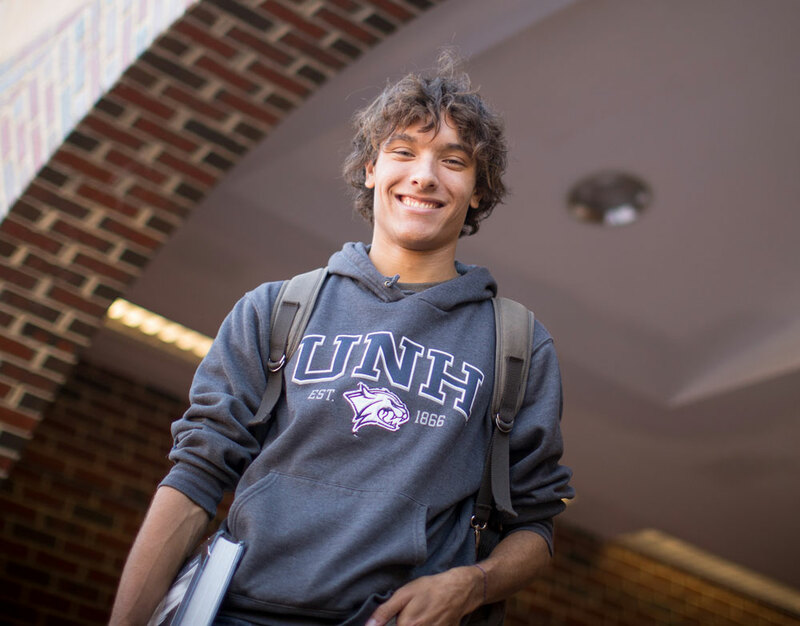 In the nursing degree program at UNH, you’ll learn from faculty who serve as facilitators and mentors within a supportive, scholarly environment. You’ll develop high quality clinical and problem-solving skills in our innovative nursing lab, which includes mannequins, task trainers and equipment to simulate clinical situations. You’ll also gain valuable hands-on experience through opportunities to participate in research at home and abroad, clinical experiences offered at area hospitals and community health agencies, and internships. The undergraduate nursing program is nationally accredited by the Commission on Collegiate Nursing Education. The curricula are divided into biological, social sciences, and humanities as a foundation for courses in the major, and nursing courses, which emphasize relationship-based care, reflective thinking, clinical decision making, and the application of evidence-based guidelines to develop quality and safe clinical skills. Clinical experiences are offered in area health facilities, community health agencies, and a state-of-the-art simulation laboratory. The senior year culminates in a capstone practicum, NURS 721C Integrating Professional Nursing Practice Clinical, in which students apply curricular concepts in a precepted clinical experience. Candidates for the nursing degree must satisfy all of the University Discovery Program requirements in addition to satisfying major requirements. The nursing program faculty believe learning is a creative process wherein students are active participants in their education, growth, and development as professional nurses. Faculty members are facilitators and mentors to students within a supportive, scholarly environment. These self-directed learning experiences, related to the student's interests, are designed to help students acquire advanced knowledge and skills to undertake inquiry or scholarly projects. Students must submit a project description to a faculty adviser at the beginning of the senior year. Students present the results of this study at the Nursing Inquiry Day. A course in statistics must be completed prior to, or taken concurrent with, NURS 641 Translating Research for Practice. Prerequisite courses require grades of C or better and only one prerequisite course may be repeated one time in order to progress. Most of the prerequisite courses also meet Discovery requirements. Major courses require a minimum grade of C. Nursing courses may not be repeated. A cumulative grade-point average of 2.5 must be maintained throughout the program. Students are responsible for their own transportation to clinical agencies, uniforms, professional equipment, health insurance coverage, yearly criminal background checks, drug and alcohol screening, fingerprinting, yearly health assessment, and select immunizations and titers. Students must maintain certification in cardiopulmonary resuscitation at the Healthcare Provider level. All clinical documents must be received by July 1st before the sophomore year, except flu vaccine, which is due by October 15th, and remain up to date until graduation. Clinical documents cannot expire during the academic year; documents that must be submitted yearly must be dated between May 1 and June 30. Students will be assessed a late fee if clinical documents are not received by the due date. Students will be dropped from nursing courses if documentation is not received by the first day of class. Additional costs associated with the program include, but are not limited to, simulation laboratory fees, fees associated with program requirements, and attendance at professional meetings. May be taken fall or spring semester. After May 1st and before July 1st sophomores, juniors, and seniors must submit required documents as instructed in the Department of Nursing. Expiration dates cannot occur during the academic year. If documentation is received after July 1st and up to August 1st, the student will be required to pay a late fee of $100. If documentation is received after August 1st and up to August 15th, the student will be required to pay a second late fee of $100. If documentation is not received by August 15th, the student will be required to drop all nursing courses and cannot participate in any clinical hours. If a student subsequently submits all required documentation, the student will be required to pay the July 1 and August 1 late fees. Proof of positive Hepatitis B titre. If Hepatitis B titre is negative, the student must repeat series and submit written documentation. If a student is in the process of receiving the series and cannot demonstrate a positive HBV, a letter from healthcare provider must be submitted as above by July 1. Proof of 2-step PPD results done yearly and if positive PPD, one chest X-ray with written documentation of no active disease yearly. Students who have had the BCG vaccine or who are allergic to the PPD test, may arrange with their PCP for a qualified lab to administer the QuantiFERON-TB Gold Test (QFT-G). It is not available in all areas. A two-step PPD may be required. Drug and alcohol testing by approved vendor on assigned date and time; random testing thereafter; and further testing, if there is reasonable suspicion or the student is unable to supply testable sample, at the student's expense.